Jackpot Mobile Casino opened its virtual doors in 2015. Since then, its run on Nektan, NextGen Gaming, NetEnt and Microgaming technology. This mobile site mainly focuses on the British gambling market, but it licensed and regulated by both the UK Gambling Commission and Gibraltar Regulatory Authority. Jackpot Mobile Casino’s website and customer support team are only available in English. However, the operator’s payment methods are more diverse and include all the major credit and debit cards as well as e-wallets. Besides its name, you don’t technically have to play on a smartphone or tablet to enjoy the offers at Jackpot Mobile Casino. It just makes sense to. All the games have been created with on-the-go gambling in mind. Slots are the main feature at this online casino, but there are a handful of table games, too, also optimised for touchscreen mobile devices. Wherever you prefer to play, be it on mobile phone, tablet or desktop, this casino will ensure you have enough games to keep your happy and busy while hopefully winning some jackpots along the way. All of the casino’s games work in-browser as well on iOS and Android devices. Jackpot Mobile Casino is owned and operated by the Gibraltar-based company, Nektan Ltd and the website is maintained by Mediacle. While this online casino predominantly appeals to and focuses on players from the UK, players from outside the UK can still have fun with the mobile casino. In fact, there are Swedish, Irish and Canadian sites all of the same name. Being a Nektan-owned mobile casino, you can look forward to incredible high definition graphics and crystal-clear audio along with slick animations. All that coupled with superior on the go gaming and you just can’t seem to go wrong. There’s also a nifty little no deposit bonus that we’ll get into shortly and signing up is rather quick and easy. With jackpots racking up into the region of $/€250,000 and the chance to play for as little as 1c per spin, there is mega potential to scoop big money when playing at Jackpot Mobile Casino. Interested in gaming on the move? Let’s see what Jackpot Mobile Casino has to offer for your bankroll and gameplay. As soon as you register a new player account at Jackpot Mobile Casino, the promotions start pouring in. If you’re a UK players, you’ll be given a little taster to get you started with the great menu of games. Once you make your first deposit, the bonus gets bigger. There are also cashback bonuses, match offers and quite a bit more. So, let’s get into the bonuses. Open a new player account with Jackpot Mobile Casino and as a UK player, you’ll get a kind $/€5 no deposit bonus as soon as you register and verify your email address. You don’t have to deposit a thing just yet. Simply open up your mobile device’s browser, register the necessary details and grab your bonus to enjoy HD slots. In fact, go ahead and spin till you win! How about some more cash to get you started at this superb mobile online casino? Well, when you deposit between $/€10 and $/€50, the casino will match your deposit up to 200%. They’ll even throw in another 100% match deposit bonus up to the amount of $/€200 on your next deposit. Finally, when you make your third deposit, you can look forward to a bonus of 50% up to the amount of $/€250. As with any type of online casino offering, you will need to meet certain wagering requirements before you can withdraw any winnings you make off the bonus. Make sure you carefully read the terms and conditions, so you know what is expected and which games count towards the playthrough amount. The offers don’t stop there. This casino has plenty of other promotions of the go. They update them regularly so it’s best to keep checking back to ensure you don’t miss out on the action. Jackpot Mobile Casino further runs a VIP programme. This is how they show appreciation for their loyal players. The casino goes all out to value its members by giving you special attention in the way of promotions. In fact, there are loads of treats and perks just waiting for you as you climb up the VIP ladder of tiers. However, this is an invitation-only VIP programme. Make in to the club, though, and you’ll get your very own account manager to attend to your every wagering whim. There are also monthly cashback promotions, weekly offers and awesome cash welcome deals to be had. Now that’s some way to treat a VIP! Jackpot Mobile Casino offers an array of handy, fast and completely safe and reliable banking options. When it comes to deposits, you can choose from the usual Visa credit and debit cards, Visa Electron, MasterCard, Boku, Neteller, Skrill and Ukash. This site employs the ultra-secure 128-bit SSL technology to safeguard your personal and banking data, especially when it comes to funding your casino account. $/€10 is the minimum you can deposit using your credit or debit card and the maximum sits at a rather generous $/€2,500. As for withdrawing your winnings, you can withdraw as little as $/€10 at a time. Card transactions are set to take around 2 – 3 business days to clear. It’s a pretty similar scenario with e-wallets like Neteller and Skrill. The casino even has PayPal listed as “coming soon,” bringing you yet another way to top up or withdraw from your player account. There is no maximum withdrawal. Take note, however, that there is a 15% transaction charge for choosing Boku as your preferred payment method. If it’s speed and convenience you’re after at Jackpot Mobile Casino, Neteller is the way to go. 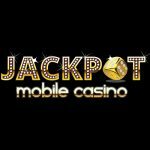 As we mentioned earlier, Jackpot Mobile Casino is powered by the likes of Microgaming, Nektan, Big Time Gaming, Extreme Live Gaming, ELK Studios, Evolution Gaming, Rabcat, Aristocrat, NextGen, IGT, WMS, lightingboxgames and Konami. The games are available via a web-based instant play platform. Jackpot Mobile Casino seems to be all about straight forward simplicity. It pulls it off well. In fact, you can’t get more classic than this mobile casino’s layout and colours. Overall, the site is highly intuitive and an absolute pleasure to navigate through. The login page is simple and easy, perfect if you’re brand-new to the world of online casino gambling. All the games at this online casino are created using HTML5 technology, one of the best things in gaming development by far. It means games can change according to your device’s screen size, run fluid animations and never compromise on quality, sound or immersive gameplay. So, what exactly does Jackpot Mobile Casino offer in terms of games? Slots are the order of the day. So, if you love video slots, you’re going to love playing them on the go. There are some incredible titles here, including When Pigs Fly, Green Lantern, Jumping Jack Cash and Secrets of Atlantis. This casino seems to place a lot of emphasis on popular, and big, branded slots, especially from Marvel. That means if you’re a superhero fan, you can roll the reels of Justice League, Batman and Superman slots. There’s even Ghostbusters, Family Guy and a plethora of other titles to have a go at. The slot selection at this online mobile casino is superb. We can’t quite say the same of the table games. It just that certain table games don’t lend themselves particularly well to being played on mobile screens, whereas slots seem to be a natural fit. That being said, you can certainly still get your table game fix while playing on the go. 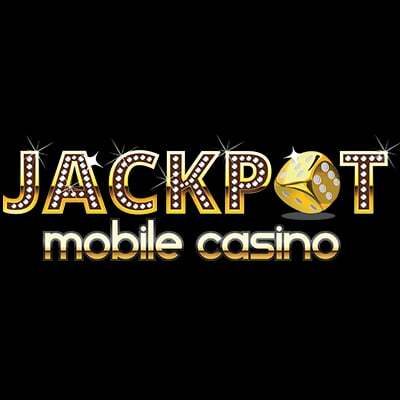 Jackpot Mobile Casino has Jacks or Better, Hi-Lo Blackjack, Roulette, Blackjack and Baccarat on offer. It might not seem like much, but we’d say it’s enough to give you a good break from rolling the reels and trying to chase down wilds and scatters all day long. There’s even a nice selection of scratch card games to round things off at this rather nifty mobile casino. Go on, try your luck at the likes of Big Foot, The Snake Charmer or Merlin’s Millions – it might just be your lucky day. Sadly, Jackpot Mobile Casino doesn’t have a live dealer section. We can’t deny that this is one online casino operator that’s at the top of its game. It was designed almost solely for the mobile gambling generation and it simply works wonderfully on both tablets and smartphones alike. If you own an Android or Apple smartphone, we have some good news. You don’t even need to turn your laptop or desktop on to have fun with your favourite online slots. Simply head over to your phone or tablet’s internet browser, head over to Jackpot Mobile Casino and login for highly entertaining gameplay – in high def! Every single game has been properly and impressively optimised for mobile play. That means you can carry your gambling entertainment in your pocket and have fun all day long, if you want to. Jackpot Mobile Casino uses first-class SSL encryption technology on every page to ensure you are safe and secure at all times. All the games meet the requirements of both the Gibraltar and UK Gambling Commissions and the site uses a random number generator to ensure every single game is fair and genuine. The customer support team may only be available in English at Jackpot Mobile Casino, but they’re on call 24/7 to help you with any concerns or questions. Live chat on the homepage is the quickest way to get hold of then, but you can also reach out by email, telephone or even the operator’s social media channels. If you simply adore playing slots on the go, you’re going to adore Jackpot Mobile Casino. The slot selection is superb and there are just enough table games for when you want to take a reel break. There are also regular promotions and the generous welcome bonus to kick off your mobile gaming adventures. Ready to give it a go? Sign up today!